Do you have piles of stuff taking up valuable space on your garage floor? Time to get it off the ground and into a functional shelving unit. Here is an easy and functional shelving unit you can make out of wood. 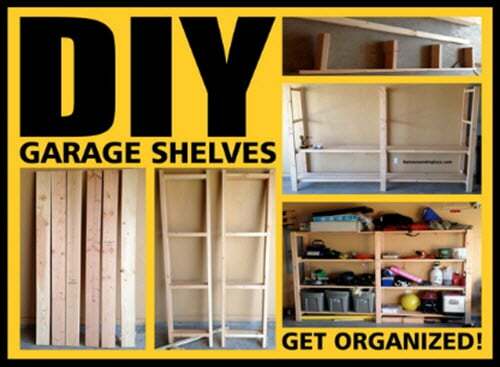 Just a few hours spent making this storage unit can save you tons of headache and give you more space out in the garage.